Collects Mighty Thor 700-706 and Mighty Thor: At The Gates Of Valhalla. Marvel Legacy hits Asgard with a bang — the death of the Mighty Thor! The final judgment comes as the Mangog arrives. The War Thor meets the beast head-on, but even the bloodthirst of this Ultimate hammer-wielder may pale in comparison to the Mangog’s might! The battle rages as Jane Foster’s cancer takes a turn for the worse, and she might not have to wait for the final judgment at all. 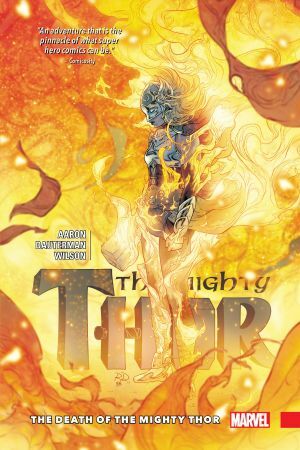 The clock is ticking, the War of the Realms is spreading and Mjolnir cannot save her this time. Can even the legendary Hercules help avert disaster? 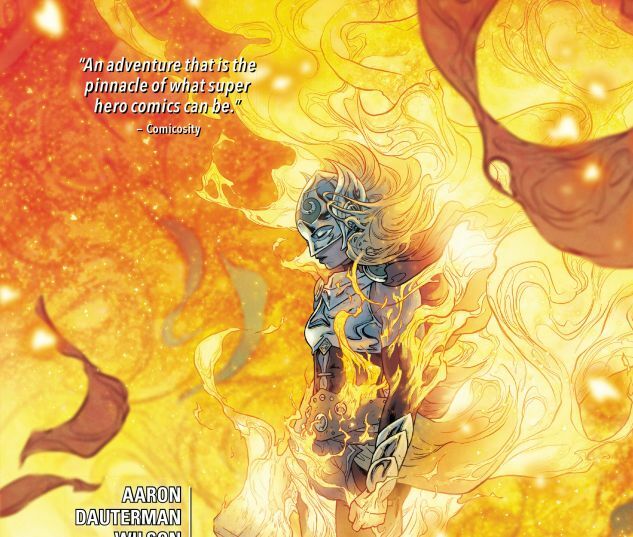 It’s the beginning of the end as the tragic and heroic story of Jane Foster finally reaches its heartrending zenith!